Kate Middleton’s baby is going to be one lucky little tot with the Duke and Duchess of Cambridge as parents, Prince William’s cousin Peter Phillips has said. The royal baby is due to arrive this weekend, and the whole world is waiting with bated breath for news that Kate has gone into labour. Peter Phillips has spoken to royal correspondent Max Foster at CNN about the heir, and it seems that the royal family are just as excited as the rest of us. 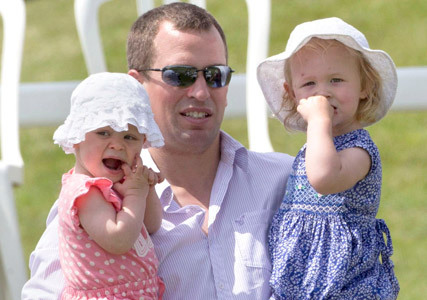 Peter Phillips, whose mother is Anne, the Princess Royal, has two daughters with his wife Autumn Kelly. Savannah is 3 years old and twelve in line to the throne, while Isla – 13th in line to the throne – was born last year. It was also announced this week that Peter’s sister, Zara, is expecting her first baby with Mike Tindall, due in the spring. 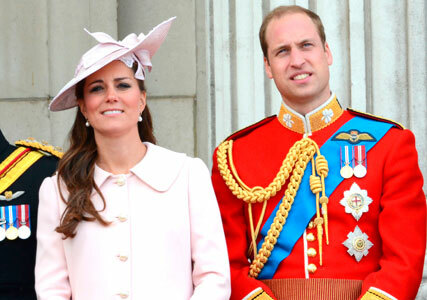 It’s understandable that the royal baby will be the focus of much media attention throughout its life, but Peter adds that Kate Middleton and Prince William will make every effort to protect their child from the intense pressure of living in the spotlight. He says: ‘He or she will be under a great deal of scrutiny. That being said, both of the baby’s parents are used to that and I think there is the structure and infrastructure around them all to be able to protect them to a certain extent. With friends and family like Kate and Prince William’s, we think the little one’s going to be just fine.